Roberto Ballini is a Full Professor of Organic Chemistry at the University of Camerino (Italy) and Past President of the Italian Organic Chemistry Division. 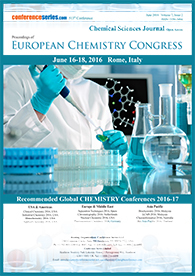 Roberto Ballini received his Laurea degree in Chemistry from the University of Camerino-Italy in 1971. After experience at the ENI-ANIC (Petrolchemical Industry) in Ravenna, he began his academic career in 1975 as a Research fellow at the University of Camerino. Then he became Assistant Professor in Organic Chemistry (1978), was promoted to Associate Professor (Organic Chemistry), and then was promoted to Full Professor of Organic Chemistry in 2000. Prof Ballini has been the Director of Master in Chemistry (2001-2007), Head of the Department of Chemical Sciences of the University of Camerino(2007), Dean of the Faculty of Sciences and Technology of the University of Camerino (2007- 2009) and the Director of School of Science and Technology (2009-2013). The scientific activity of Prof. Ballini in mainly dedicated to Organic Synthesis, with particular attention to the field of eco-sustainable synthetic processes (Green Chemistry). To reach the goal of environmental protection, the right approach is to focus attention on primary prevention (minimizing or avoiding waste formation) rather than on secondary remediation (mainly consisting in waste treatment).In this context the Ballini’s research group has developed a variety of collaboration with other Universities and Research centers (National: Rome, Bologna, Venezia, Urbino, Parma, Perugia, Chieti, and International: Dallas-Texas, Badajoz-Spain, Sevilla-Spain, Nijmegen-Netherland, etc.). 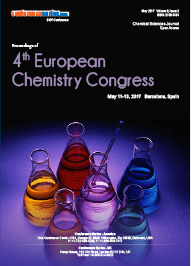 Of particular interest is the Chemistry of aliphatic nitro compound that, thanks to their highly chemical versatility, can be easily employed for eco-friendly procedures for new generations of C,C single and double bond, for the cleavage of C,C bond, as key building blocks in the synthesis of important “fine chemical”, natural products featuring enhanced biologically activity, pharmaceuticals, high density energetic materials, etc. Other special fields of extensive interest also concern: (i) Studies of new heterogeneous catalysis, and new use of solid catalysis, applied to fine chemicals and pharmaceuticals production; (ii) Exploitation of Solvent-free processes; (iii) One-pot processes for the synthesis of “fine chemical”; (iv) Use of alternative, eco-friendly solvents in organic synthesis; The scientific activities have been evidenced by: 1) more than 250 Publications (with an “H-FACTOR” = 42) on the main scientific Journals; 2) more than 20 Reviews, several of these are on the field of the Green Chemistry (heterogeneous catalyst, one-pot processes, usage of eco-friendly solvents, solvent-free processes); 3) Editor of the Green Chemistry Book: “Eco-Friendly Processes and Procedures for the Synthesis of Fine Chemicals”(of Green Chemistry Series) by Royal Chemical Society, Cambridge 2009; 4) Author of 4 Book chapter on the field of “Green Chemistry for Environmental Sustainability”. Takashiro AKITSU, PhD is a full Professor for the Department of Chemistry, Faculty of Science Division II at Tokyo University of Science. He completed his under graduate school training (chemistry) from Osaka University, Japan and his graduate school training (physical & inorganic chemistry, especially coordination, crystal and bioinorganic chemistry) from Osaka University (Ph.D. 2000). After Keio University and Stanford university, He moved to the current affiliation since 2008. Dr. Akitsu has published up to about 180 articles in peer-reviewed journals and has had posters presented at international level. 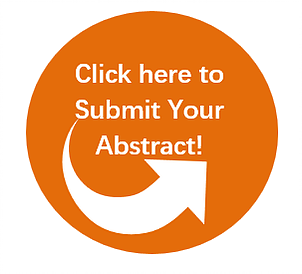 He has been a peer reviewer of many journals and acted an organizing committee of several international conferences. Ana M. Martins got her PhD and Habilitation in Chemistry at Instituto Superior Tecnico, Universidade de Lisboa, Portugal, where she heads a research group in Organometallic Chemistry and Homogeneous Catalysis since 1993. Her research aims primarily at the understanding of structure/reactivity patterns with emphasis on atom-economy catalytic processes. She published more than 80 publications in high impact International Chemistry Journals. She participated in several University Management actions and is a delegate of the Directive Board of EUCHEMS - Division of Inorganic Chemistry. Her research interests aims primarily at the understanding of structure/reactivity patterns with emphasis on atom-economy catalytic processes. Jerry Suits is currently working as an associate professor in Department of Chemistry and Biochemistry at University of Northern Colorado, USA. He completed his PhD from University of Texas at Austin in Science education, Chemistry. He teaches general chemistry, philosophy of science and graduate courses in chemical education and science education. He has currently had 5 graduate student researchers in chemical education. He is the PI for a POGIL/Hach Scientific Foundation Grant to evaluate the effectiveness of POGIL as an innovative instructional strategy in high school chemistry classrooms across Northern Colorado. Dr. Suits' research focuses on the factors that affect how students learn chemistry. He has found that most students tend to be memorizers (a learning style) until they have acquired a certain amount of chemical knowledge (a critical mass) that allows them to become conceptualizers (i.e., they are able to form concepts out of facts and rules). Conversely, some learners continue to use only memorization skills that rely on algorithms rather than thinking strategies. All of these cognitive processes are probably interlaced with affective processes, that is, learners either appreciate the real world applications of chemistry or they avoid this integration. Karin Larsson is a Professor in Inorganic Chemistry at the Dept. of Chemistry-Ångström Laboratory, Uppsala University, Sweden, and Guest Professor at the University of Science and Technology Liaoning, China. In addition, Karin Larsson is elected member of IVA (Royal Swedish Academy of Engineering Sciences), division V (Mining and Materials;Vice-Chair). Prof. Karin Larsson is today the head of the Theoretical Materials Chemistry Group at the Div. of Inorganic Chemistry, Dept. of Chemistry-Ångström laboratory. The scientific focus is on interpretation, understanding and prediction of the following processes/properties for both solid/gas interfaces, as well as for solid/liquid interfaces; i) CVD growth (e.g. diamond, BN, and graphene), iii) interfacial processes for renewable energy applications (e.g. electrochemical processes), and iv) bio-functionalization of surfaces (e.g. bone regeneration). 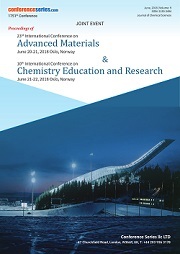 Roberto Acevedo has focused his attention in both lecturing to a broad number of students in different topics and also in research in areas such as: Linear and non Linear Optics in New Inorganic Luminescent Materials of the Rare Earths, Dynamics of Crystals, Cooperative Effects, Jahn - Teller (Static and dynamics), Pseudo Jahn - Teller in Coordination Compounds of the Transition Metal and Lanthanide Complex Ions, Scientific Psychology, Advanced Studies in Higher Education, Social Business and Entrepreneurship. He has been the supervisor of a substantial number of students: 12, working for their academic degrees of MSc, DSC, and 78 working for their Professional Titles. His outcome in research may be divided into sections: (a) National Publications: 117, (b) Publications in International Congress: 42, (c) Publications in electronic journals: 148 (d) International Publications (ISI): 85 and Author of 17 Books. Many Conferences delivered in Chile and Abroad. 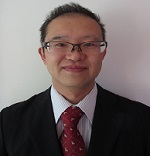 Dr. Feng is an expert in biochemistry and biophysics of metalloproteins. His laboratory is known for its use of multidisciplinary approaches to study molecular mechanisms of metalloproteins in medicine and toxicology. The laboratory is active in the use of cutting-edge approaches across the broad fields of chemistry, biochemistry, physics and chemical biology (including laser flash photolysis, pulsed EPR, computational chemistry and site-directed mutagenesis). The goal is to understand what the function of a biological relevant metal site is, how it goes about to achieve its function, and what factors dictate its function. His current primary research focus is on regulation mechanism of nitric oxide synthase (NOS), a flavo-hemoprotein responsible for biosynthesis of nitric oxide (NO), a ubiquitous signaling and effector molecule in mammalian cell biology. Recent studies of NOS proteins by Dr. Feng demonstrate that domain motions and interdomain docking play an important role in NOS isoform function by modulating key electron transfer processes. Molecular mechanisms of NOS regulation, once fully understood, are potentially key targets for development of selective new pharmaceuticals for treating a wide range of diseases that currently lack effective treatments. Dr. Feng has published more than 70 scientific manuscripts, is an active NIH reviewer and also serves as referee for NSF, AHA, the French National Research Agency and the Italian Ministry of Health. 1978 and 1999 has completed his Ph.D and D.Sci. at the ages of 33 and 54 years from Zelinsky Instiute of Organic Chemistry, Moscow, Russia and Durmishidze Institute of Biochemistry and Biotechnology, Tbilisi, Georgia, respectively. 2006 up to date he is the head of laboratory of plant biopolymers at the Tbilisi State Medical University Institute of Pharmacochemistry. 1996 and 2002 he has been a visiting scientist at Utrecht University (faculty of pharmacy), The Netherlands, by University Scholarship and The Netherlands organization for scientific research (NWO) Scholarship Scientific Program, respectively. He has published more than 80 papers in reputed journals. Dr. Janis Gravitis gained his PhD and DocSci from the the fomer USSR Academy of Science. Author and co-author of more than 300 scientific publications. Visiting Professor at the United Nations University, Institute of Advanced Studies, Tokyo, Japan, 1996–2000 Fellow of the International Academy of Wood Science Foreign Member of the International Research Centre for Sustainable Materials (Tokyo) Head of the Laboratory of Biomass Eco-Efficient Conversation, Latvian State Institute of Wood Chemistry - recently. Violina T Angelova has completed his PhD in 2004 from Bulgarian Academy of Sciences, Institute of Organic Chemistry with Centre of Phytochemistry, Sofia, Bulgaria. She is an Assistant Professor of Medical University of Sofia, Faculty of Pharmacy, Department of Chemistry. She has published more than 15 papers in reputed journals. Silvia Antonia Brandán is a Faculty Biochemistry, Chemistry and Pharmacy, in Inorganic Chemistry Institute, University National of Tucumán (UNT), Tucumán, Argentina. She is Graduated in Chemistry (UNT); Chemical Engineer (UNT); PhD in Chemistry (UNT); Post-Doctorate in Alicante University, Spain. She is the Titular Professor of General Chemistry and Director of the Inorganic Chemistry Institute. She is the Editor Journal of Molecular Structure. Tuanli Yao has completed his PhD from Iowa State University and postdoctoral studies from University of California, Berkeley. He worked as Senior Scientist at Deciphera Pharmaceuticals and Associate Researcher at University of Kansas before beginning his career in academy. Currently, he is professor at Shaanxi University of Science & Technology. His research interests include aryne chemistry, electrophilic cyclization and palladium catalysis. He has published more than 30 papers in reputed journals. Goncagul Serdaroglu has completed his PhD from Cumhuriyet University (2008) and postdoctoral studies from Auburn University (2013). Her major research interests are on structural properties and chemical behavior of biologically and pharmacologically important molecules by using computational tools. Daniel T Gryko obtained his PhD from the Institute of Organic Chemistry of the Polish Academy of Sciences in 1997, under the supervision of Prof. J. Jurczak. After a Postdoctoral stay with Prof. J. Lindsey at North Carolina State University (1998–2000), he started his independent career in Poland. He became Full Professor in 2008. The same year he received the Society of Porphyrins and Phthalocyanines Young Investigator Award. His current research interests are focused on the synthesis of various functional dyes as well as on two-photon absorption, artificial photosynthesis, excited-state intramolecular proton transfer and fluorescence probes. Maia Merlani has completed her PhD at the age of 27 years from Tbilisi State University. She is Senior Research Scientist at Tbilisi State Medical University and at the same time holds a position of an associate professor at Caucasian International University. Her field of interest is a chemistry and synthesis of natural compounds. She is the author of more than 45 papers in reputed journals and presentations at 55 international scientific conferences. She was granted Georgian Presidential scholarship for young scientists (1997), NATO scholarship (2002) and Matstumae International foundation scholarship (2013). Radovan Buffa has completed his PhD in 2002 from Comenius University in Bratislava, Slovakia and postdoctoral studies from ETH Zurich, Switzerland. Last 7 years he is the head of the Department of Chemical modification in the Contipro Pharma Company, Czech Republic. He has published more than 15 papers in reputed journals and he is author/co-author of more than 20 patents. Halina Abramczyk has completed his PhD from Technical University of Łódź, Poland, postdoctoral studies from Bielefeld University, Germany, and habilitation from Technical University of Łódź. She is the director of Laboratory of Laser Molecular Spectroscopy, Łódź University of Technology. He has published more than 190 papers in reputed journals, 7 books or chapters in books and has been serving as an editorial board member of Journal of Molecular Liquids. She has received a number of awards including the Marie Curie Excellence Chair, Fulbright, DAAD. She is a President of Polish Fulbright Alumni Association. 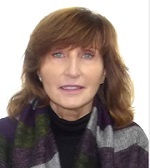 She was a head of Marie Curie Excellence Chair, Max Born Institute, Berlin, Germany. Marc Le Borgne has completed his PhD at the age of 31 years from Nantes Atlantic University after Pharmacy studies (6 years). He is the director of EA 4446 B2C, a research group dedicated to Drug Design and Structural Optimization. He has published more than 61 papers in reputed journals and has been serving as an editorial board member of Journal of Enzyme Inhibition and Medicinal Chemistry (2009-2012) and Current Bioactive Compounds (2008). He gave some invited lectures abroad (Saarbrück, Oslo, Tromsø, Bergen, Debrecen, Sacramento, Helsinki, Oulu). He is developing bioactive small molecules (e.g. kinases and CYP inhibitors). Drug Design and Structural Optimization. Linghai Xie is a Professor of Organic/Polymer Materials Chemistry at Nanjing University of Posts and Telecommunications (NUPT). He obtained his PhD from Fudan University in June 2006. After this, he joined Nanjing University of Posts and Telecommunications (NUPT) and become a leader of the center for molecular systms & organic devices (CMSOD). He won the “NSFC Award” for Excellent Young Scholar in 2013. His research activities focus on Molecular Installing Technology (MIT), Attractor-Repulsor Theory (ART), Polygrid Wide-Bandgap Semiconductors, Organic Electrets for Memories and Memristors. He has published more than 130 papers in reputed journals and has been cited more than 1700 times.